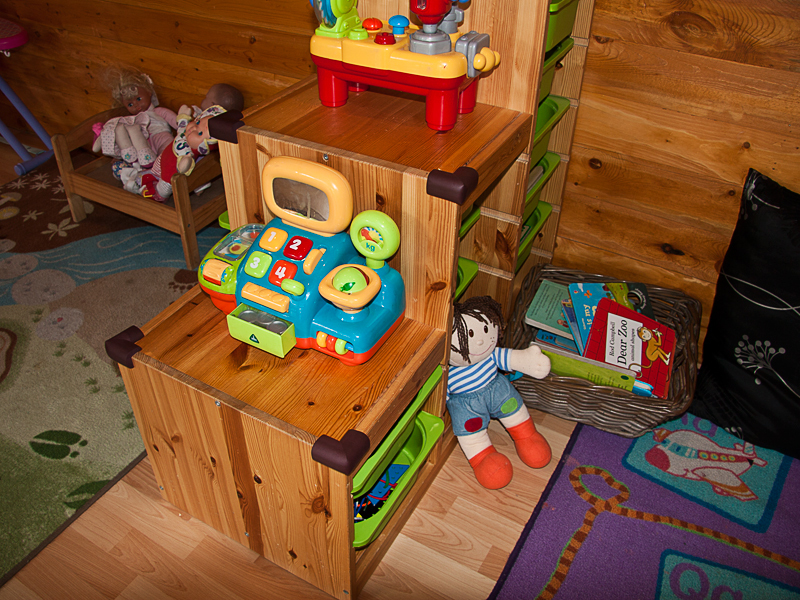 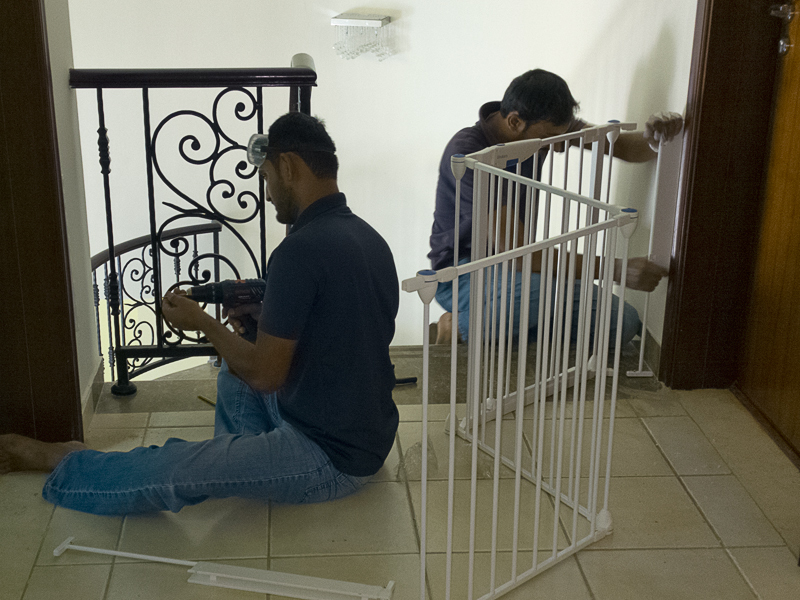 We undertake all types of baby proofing and child safety works and installations. 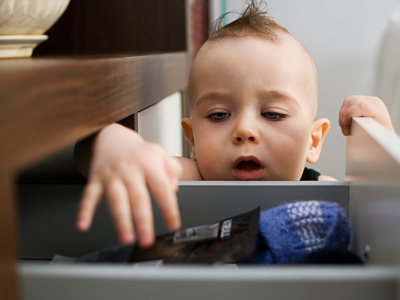 Whatever it is, we can probably do it! 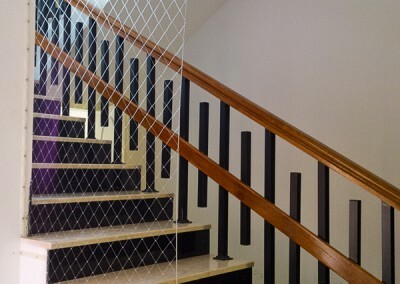 We offer a full range – from fixing a cupboard lock to installing a pool fence, from smoothing a sharp corner to safety-proofing a school – nothing is too small or too big. 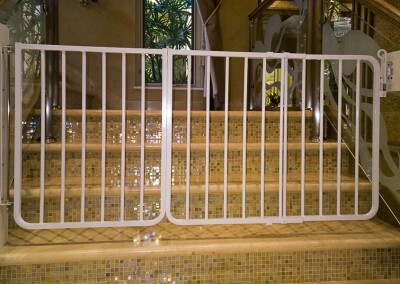 Contact us for a risk assessment and a quote. 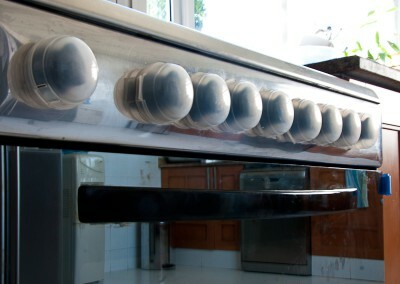 Oven knob guards prevent children playing with gas knobs. 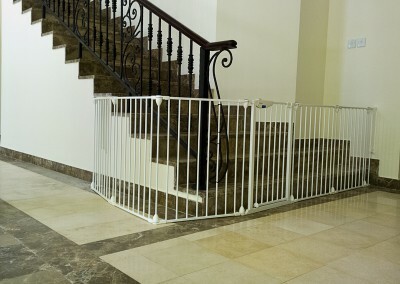 Safety gate, wide stairs with glass sides – Emirates Hills. 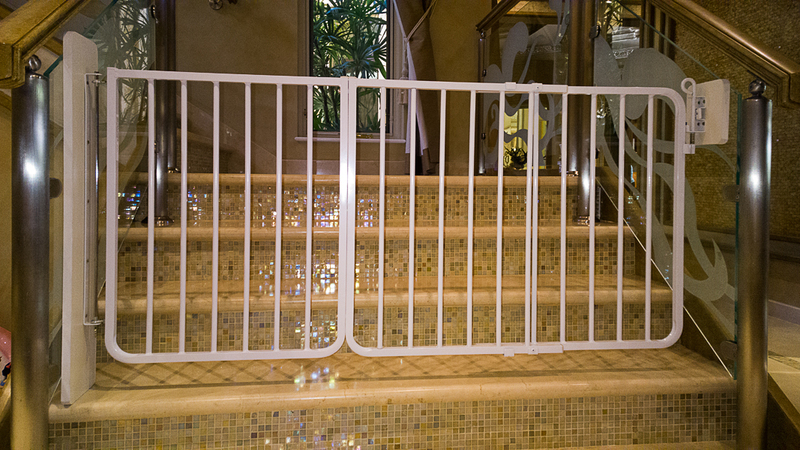 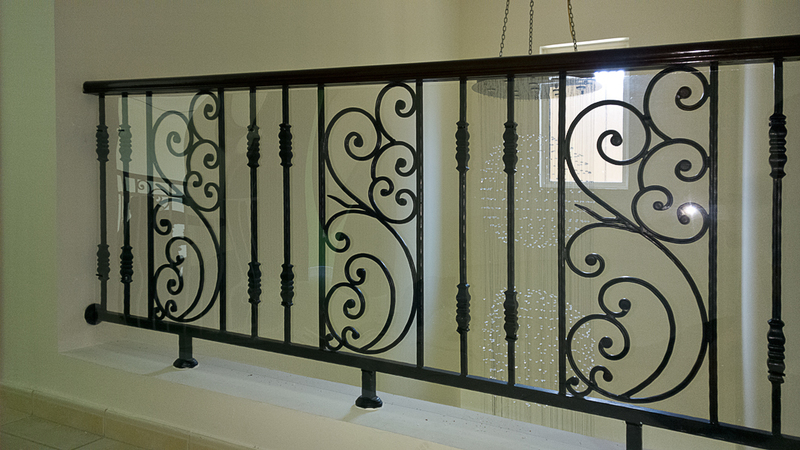 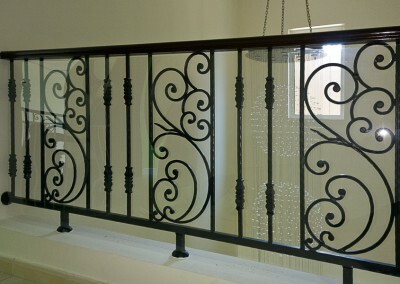 Unbreakable glass safety shield – railings in Jumeirah Islands. 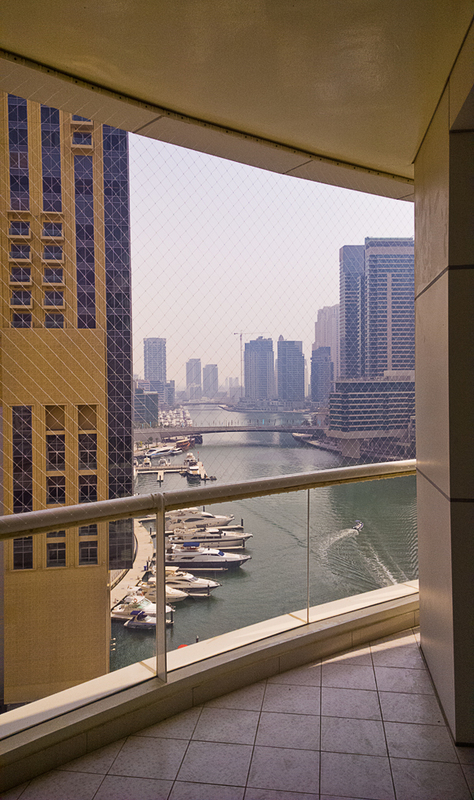 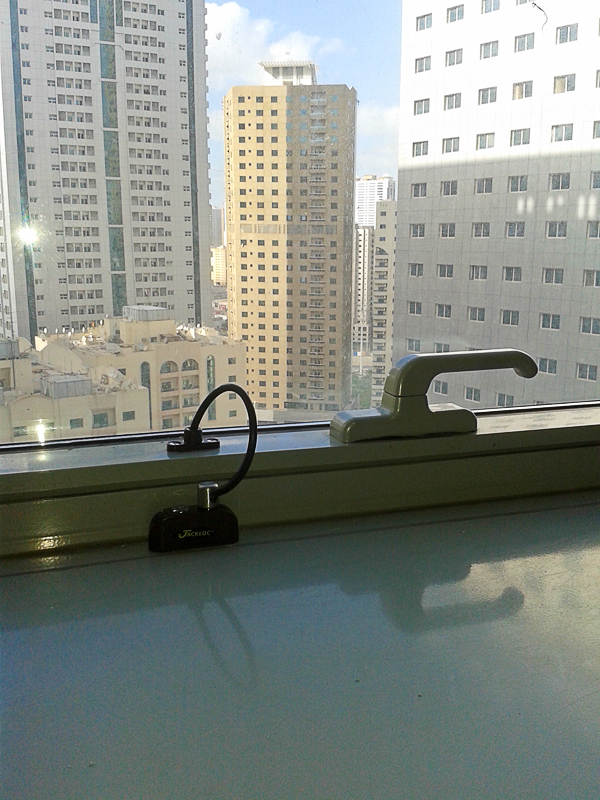 High rise window – Jackloc safety in Sharjah. 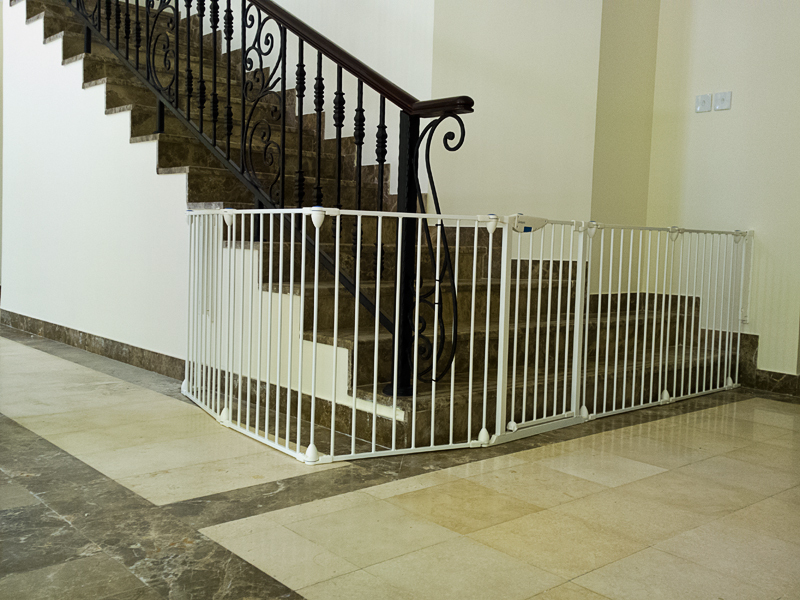 Awkward staircase – safety gate and barrier- Jumeirah-Islands. 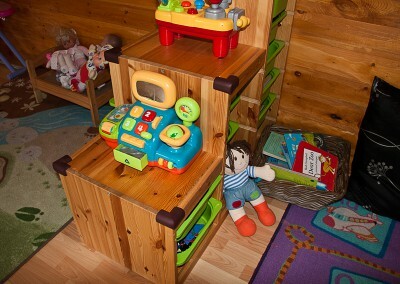 Low protruding corners protected by sturdy foam cushions. 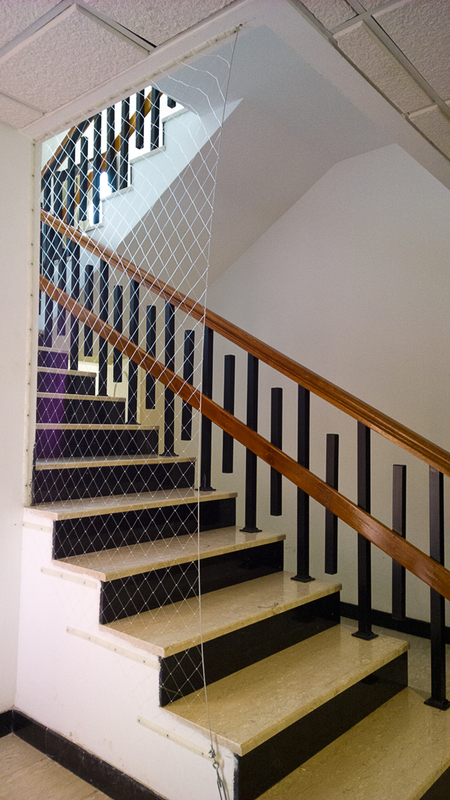 Child safety netting on open-sided staircase in Mirdiff. 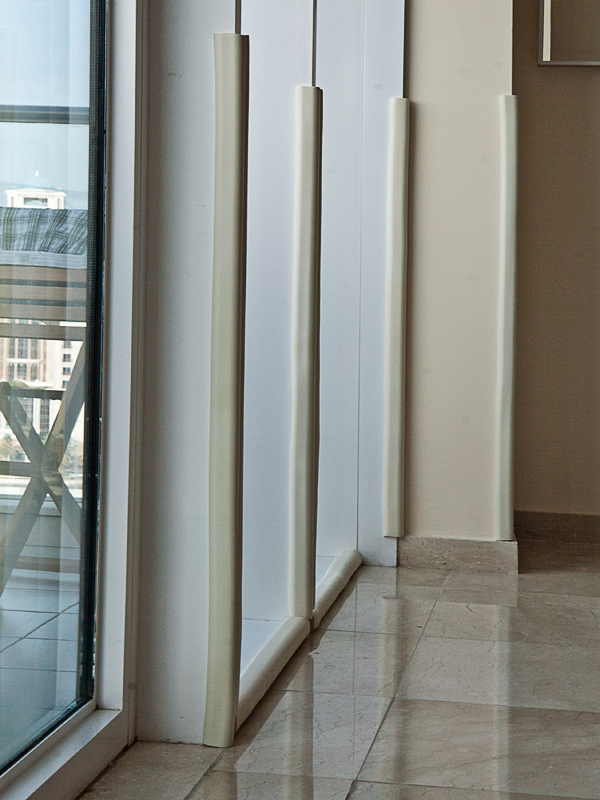 Sharp edge protection – Palm Jumeirah. 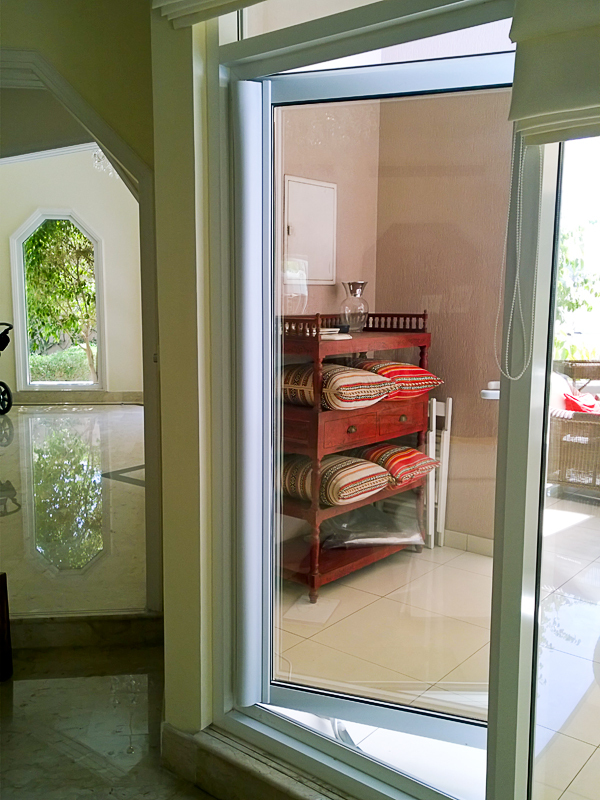 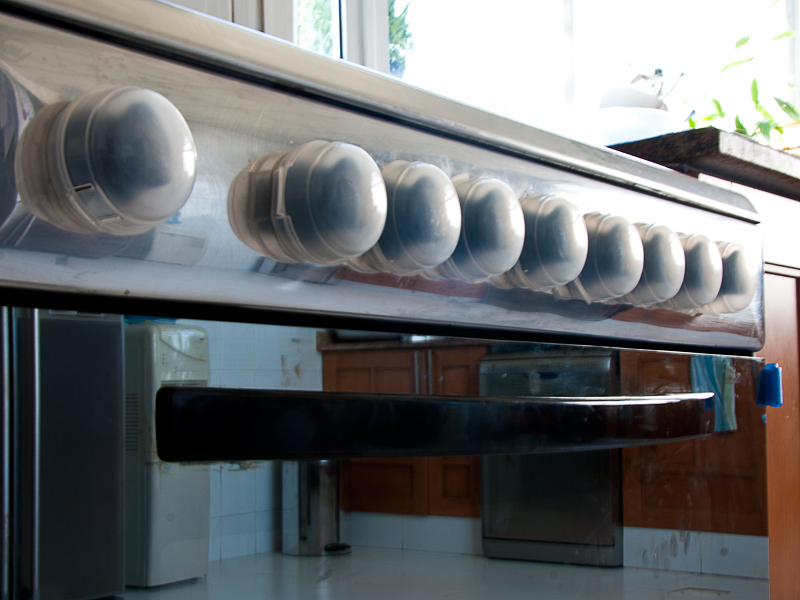 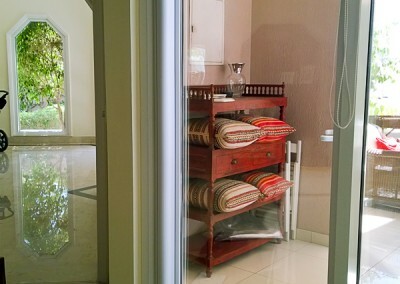 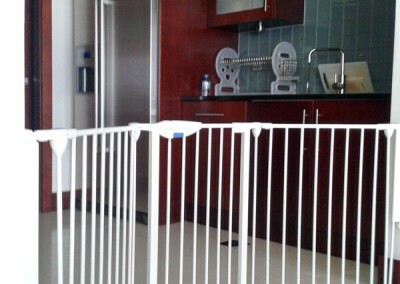 Safety barrier on open kitchen entrance – Emirates-Living. 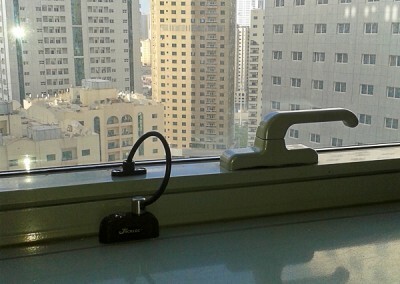 Finger protection on biting door hinge – Jumeirah.